Property developer EPV Developments has launched a new 10-storey apartment tower in Woolloongabba called The Wellington. The Wellington incorporates 127 one-bedroom and two-bedroom apartments situated on the corner of Wellington Road and Overend Street above a specialty retail and dining precinct. The ground floor of the development will feature a retail area with a mix of quality food retailers, restaurants and cafes including an offering from Phillip Di Bella, the founder of Australia’s largest specialty brand, Di Bella Coffee. The first release of apartments starts at $354,000 for one bedroom apartments and $470,000 for two bedroom apartments. 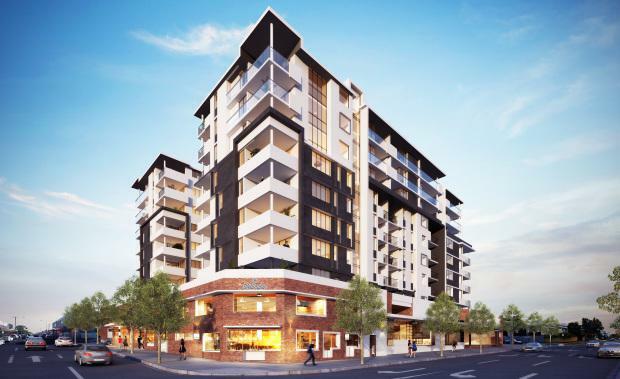 The Wellington development site is located in Woolloongabba within metres of The Gabba stadium. Development company EPV Developments is a joint venture of Denis Mackenzie and Karl Jameson. Operating exclusively within the inner-city Brisbane market, EPV develops boutique mixed-use apartments and integrated living.